an award winning Canadian filmmaker and journalist. Since 2009, Brandy has made twenty-three television documentaries and series, four web series and the travel APP #BecomingAlbertan. Ms. Yanchyk’s productions cover a wide range of social and factual genres. Her documentaries have aired on international channels including the BBC, CBC, PBS, the CBC Documentary Channel, Rogers, CPAC, TELUS Optik, AMI, YES TV, SHAW TV, SBS for NITV Australia, AB Groupe France, VIASAT WORLD in Scandinavia, Axess TV in Sweden, 1HDTV in Russia, HRT Croatian Television, Islamic Republic of Iran Broadcasting, RUV in Iceland, PRIMA TV in the Czech Republic, Amazon Prime, Halhara Finances Limited in Cyprus, The Times Internet in India, Taiwanese international airlines Eva Air, Canadian airlines WestJet and Air Canada and at film festivals around the world. 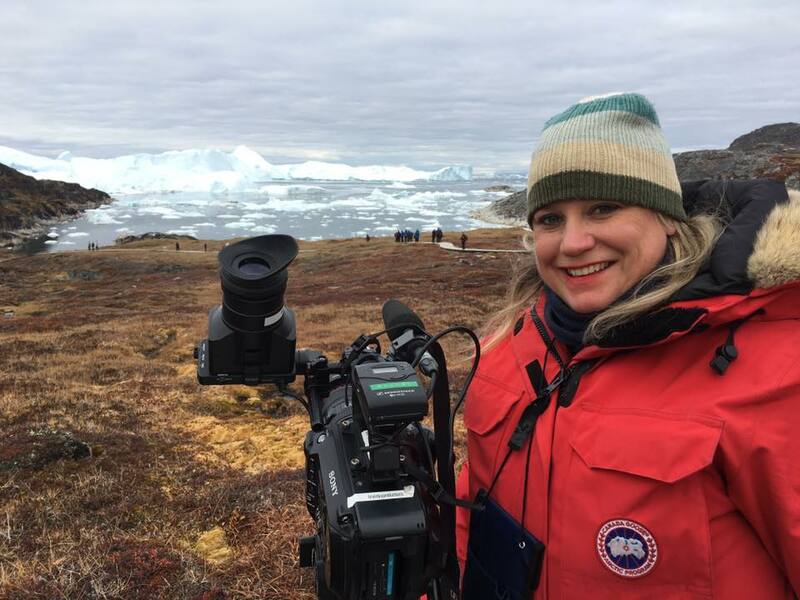 Brandy Yanchyk specializes in making documentary travel shows for television and web. This includes her own hosted series Seeing Canada and Seeing the USA which are airing on public TV stations in the USA including PBS and Create® TV. Brandy is also making the second season of her documentary series Dino Trails which is a Telus Originals Production. Dino Trails S1 is airing on Air Canada’s In Flight Entertainment System, in Russia on 1HDTV and also on TELUS Storyhive’s YouTube channel. Brandy has also reported for the BBC Travel Show. You can stream or buy DVDs of Brandy Yanchyk's films here. Many of Brandy's DVDs are found in libraries, universities and schools around the world.